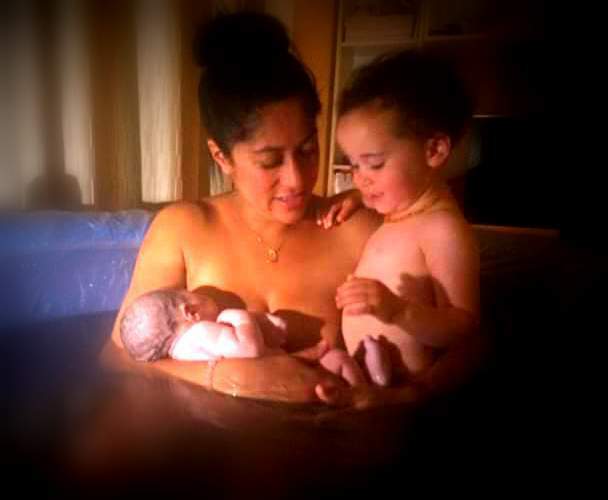 Many women consider using hydrotherapy during their homebirth, or even during the early part of their labour before they go to hospital. For some women this might mean using a shower or a bath and for others it means using a birthing pool. Some women on the other hand have no inclination whatsoever to use water. As with any kind of birth there is no right or wrong way to have a baby, and choosing water to ease the intensity of labour is an entirely personal choice. For those women who are interested in having a pool hopefully this article will help with planning it. If you’re not sure if you’d like to have one or not, it’s worthwhile to have it there and ready so that if you do feel like being in water on the day, you have it as an option. And if you find you prefer dry land you can just get out. However so many women love having it and really feel it helps with contractions. 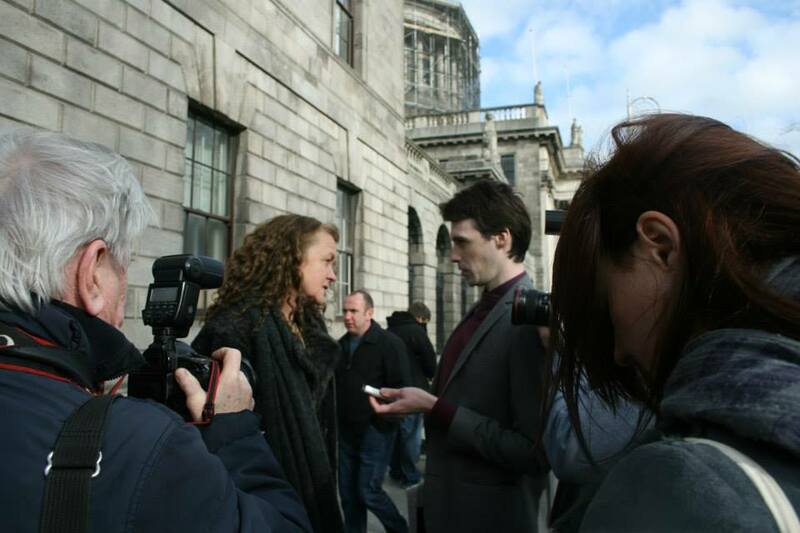 Philomena Canning (SECM) calls it the ‘natural epidural’. This article was compiled from tips submitted by members of the Homebirth Ireland Facebook group so huge thanks to all that contributed. I used a pool on all my births. Here is me and three of my kids in an (empty ) pool! National Maternity Hospital, Holles Street Dublin – Domino Scheme. You can labour in a pool but not give birth. You will need to supply your own pool. 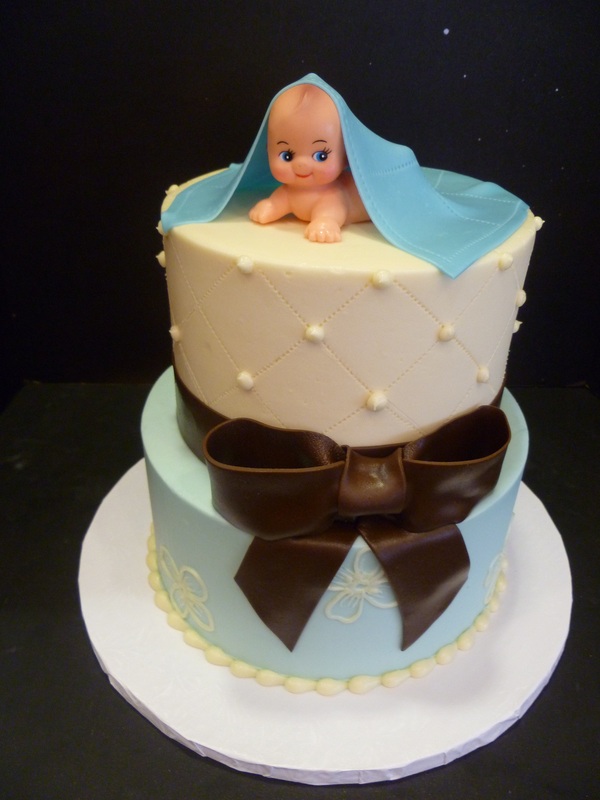 Waterford Domino / Home Birth Service – You can labour in a pool but not give birth. You will need to supply your own pool. Wexford Maternity Unit – You can have a water birth with the Wexford Domino scheme although their home birth scheme is limited at the moment due to a lack of midwives. You will need to supply your own pool. Private service provider – Neighbourhood Midwives – pool and all accessories included with all of the home-birth packages. The pool supplied is the Birth Pool in a Box. This article is focusing on home water births however, it is possible to have a water birth in one of Ireland’s hospitals at present (Mar 2015). The Coombe have one pool and started doing water births in approximately September 2014. If the pool is available i.e. there is not a woman labouring in it or giving birth and there are staff on duty that have experience with waterbirths when you want to use it, then it is possible to labour and give birth in it. However, you will have to have signed a conset form 24 hours in advance. Some of the other hospitals have pools you can labour in but you would need to get out before the baby is born. Pools also exist in Our Lady of Lourdes and CUMH. You may be able to borrow a pool – your midwife or hospital home birth service may be able to advise. Note: if borrowing a pool it is essential to buy a new liner and hose for the birth itself for hygiene reasons. This can be bought on birthingmamas.ie also.Just be sure to buy the correct liner for the type of pool you have. When deciding where to put the pool in your home, make sure the floor can support it. According to the Birth Pool in a Box website the mini pool weighs 487kg when filled. This might determine whether you can have it upstairs or not for instance. Make sure the pool is near enough to a tap – the hoses sold by Birthing mamas are 15m long. The top tip when it came to water birth was to do a trial run with inflating and filling your pool in advance. This is really important so that you find out how long it takes to inflate and fill it with warm water. This will also depend on your water heating system or immersion. The pool when 80% filled is approximately 5 or 6 bath fulls. It is particularly important if you suspect it will be a quick birth. Also this way you will find out if the tap attachments you have are the correct ones or if the pool needs to be repaired (if it’s not a new one). It also means that your birth partner is spending less time on the day figuring out how to inflate and fill the pool so they have more time to spend helping you. Doing a trial run will reveal any problems ahead of time when you still have time to resolve them and means you won’t have to worry about it or even think about it on the day. Check out the rest of the tips below for some creative ways to sort out any issues. In the last couple of weeks when you are ‘due’, adjust the clock timer on your hot water tank to heat the water (even on ‘sink’ ) regularly every 2-3 hours so it already ready to start the filling process in early labour, and once you suspect labour has begun you can switch it to ‘on’ and ‘bath’ for the next and ongoing fills. 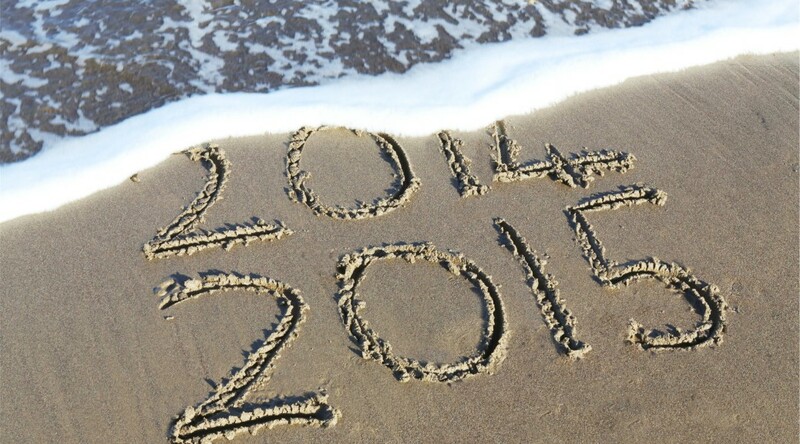 By preparing this way hopefully you will get a head start. Turn on the immersion or heating as soon as contractions start. You could use the hot feed under the sink – you can buy a copper fitting in B&Q for around €6. In this case there was already a valve in place – see image. If you know you do not have great tank capacity, hire other ways of heating water in addition to your water tank and boiling pots of water on your stove or cooker e.g .gas camping stove or a berco boiler. You may be able to borrow a berco boiler from a local sports club, community centre or school. Try filling the pool from an electric shower. You can just disconnect the shower head and fit this to the hose with a screw-on fitting that you can buy inexpensively in any hardware shop. You will need a pump in order to inflate the pool – this should come with the pool. If it doesnt you will have to buy one as it would definitely not be advisable to try to do this manually! Unlike a condom, the liner has to go on when the pool is not quite erect! Inflating the mini Birth pool in a Box (pictured above) takes approximately 25 minutes using the goodbirh Electric Inflate-Deflate Pump. If you have the space and think you may not have much time to spare on the day you could inflate the pool ahead of time and keep it in the room where you intend to use it (or another room if it will fit through the door). However, under no circumstances should water be left in the pool for long periods of time in the run up to the birth as this is a risk for Legionnaires’ disease. A Phthalates free Eco hose is what is recommended by the pool companies as there are can be chemicals in the other types of hose. Several mothers stated that filling the pool from the kitchen tap via the hose took 45 minutes. For another contributor it took and hour and a half. However the time needed to fill the pool will obviously vary depending on your tank capacity and water pressure and of course will depend on how quickly the water is heated – see previous section on heating the water. Fill the pool earlier than you think – especially if it is your second or subsequent baby. So for instance, begin filling it as soon as you feel contractions start. However if the water is in the pool for more than 12 hours there is a risk ofLegionnaires’ disease so pre-filling it too much in advance is inadvisable. Find the strongest / fastest flowing tap – it may not be your kitchen tap, there could be a more direct line from the immersion tank, for example the tap in your under stairs bathroom. If the water pressure is an issue and you have an outside tap – this might have better pressure than an inside tap – the pressure may not be good enough to pump water up into the attic but it may be available in an outside tap. If you are on good terms with next door neighbours , they might like to be able to be helpful and run a hose from their house! Two hoses = half the time. Don’t feel you can’t use the pool to your advantage unless it is ‘full’ ! Even having a third full can give you comfort and once your pelvis can be immersed you can birth in it. Check the pool for the minimum capacity line. Even if you miss using the pool due to it not being ready for labour or birth continue filling it and get in once your baby is born and enjoy baby and soothing warm comfort. The water should be between 32 and 38 degrees Celsius for labour. Remember that is is easier to add cold water if it is a few degrees too warm than to heat it up – however check your pool specifications as it can weaken the pool if the water is too hot. There are fitted pool covers you can buy to keep the water warm before you get into it or some alternatives are tarpaulin, a roll of bubble wrap on its own or with blankets or a duvet on top, a sleeping bag or foil shock blankets marathon runners use. Obviously keeping the room itself warm will help. Tarpaulin (available in Woodies or any hardware shops) underneath to protect the floor and prevent it being slippy – see picture in the section on doing a trial run above. A piece of flannel with waterproof backing – like what you would use as a liner for a bed for children. The pools have an air filled floor but you could have a duvet or sleeping bag underneath the pool for extra comfort and heat retention particularly if it is a hard or cold floor. Have a table and chair near the pool so the midwife can do their paperwork/note-taking and be nearby. A toddler step would be useful for getting in or out of the pool. You can use a water pump to do this. If there is at least a small slope from the pool to a drain outside, you can simply use a hose and let gravity do the work to empty most of the pool. Rinse the liner and hose with Milton to clean/sterilize them. If your pool needs repair, Sugru works – bicycle repair kit does not! Definitely something you do not need to find out on the day so do that trial run! Click here for a list of Irish birth stories where the mother laboured, and sometimes birthed, in water. Last October 11th 2014 saw the first home births provided by UK Birth Centres in The Republic of Ireland. 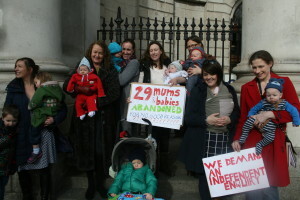 One of them was a HBAC and so heralded a new era in Irish Home Birth as HBACs had effectively gone underground since the signing of the Nurses and Midwives Act into law sometime in mid 2012. 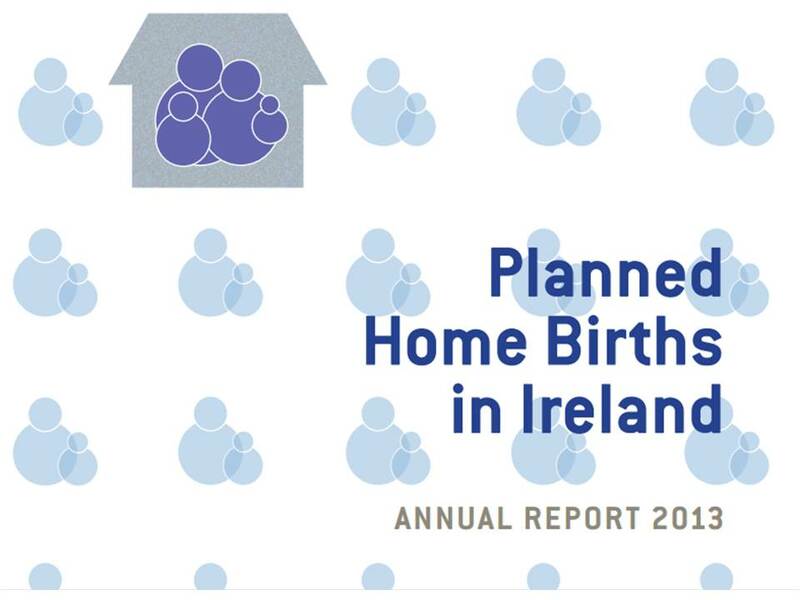 Since that time it is estimated by the Department of Health and Children (September 2015) that UK Birth Centres have facilitated approximately 60 home births in Ireland. Happy Birthday to home birth mum and dad Roseanne and Paul Dolan and baby Sam and also HBAC mum and dad Lisa and Mark Finnegan and baby Senan. 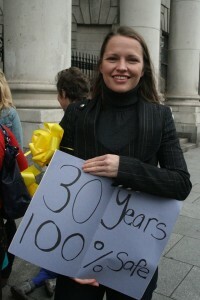 Prior to the Memorandum of Understanding (MOU) between self employed midwives and the HSE (which was drawn up in 2008 for the national homebirth service), women routinely availed of home births following a caesarean section, subject to an individual assessment by an independent midwife. The MOU stated that HBACs are too risky based on the HSE’s internal risk assessment and that all VBAC attempts should take place in a hospital setting. 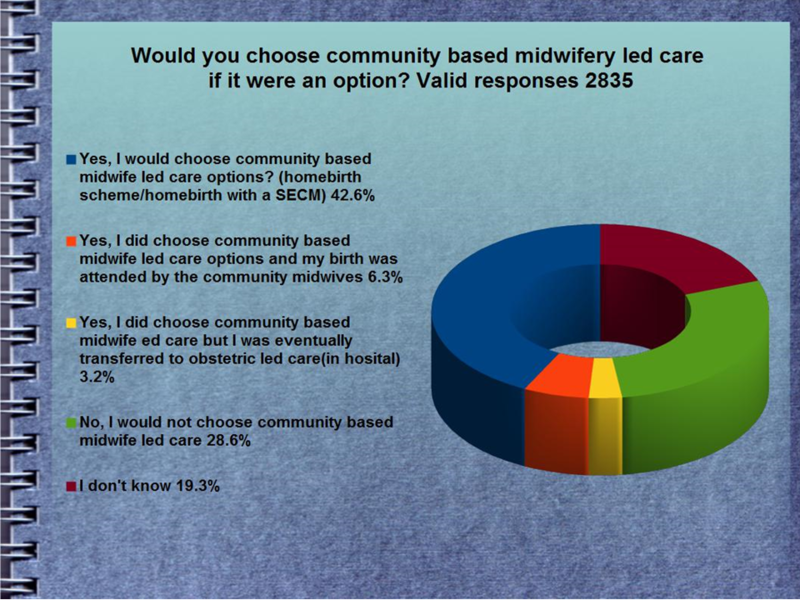 The HSE’s risk assessment on VBAC in the community in turn informs the State’s Clinical Indemnity Scheme (CIS), which will not offer indemnity to self employed community midwives working in the community to attend HBACs. 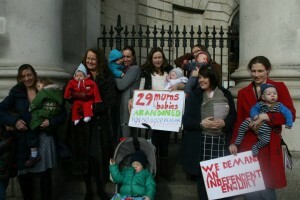 However, the self employed community midwives who carry out home birth care on behalf of the HSE are required by legislation (The Nurses and Midwives Act of 2012) to be fully indemnified in order to offer care in the community Currently, the only available indemnity for a self employed community midwife is that offered by the CIS. Self employed midwives are therefore prevented from taking women on who have had a previous caesarean birth, even if they have successfully birthed at home before. 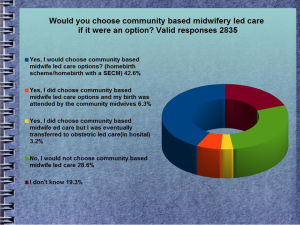 Therefore in Ireland as of 2008, there have been no indemnified HBACs attended by self employed community midwives. Instead women travelled outside the jurisdiction to avail of a HBAC, or they birthed alone without professional medical attendance. Read Rachel Singleton s journey to the UK to have her HBAC here. She lost that high court case, and went on to have her baby in the UK. 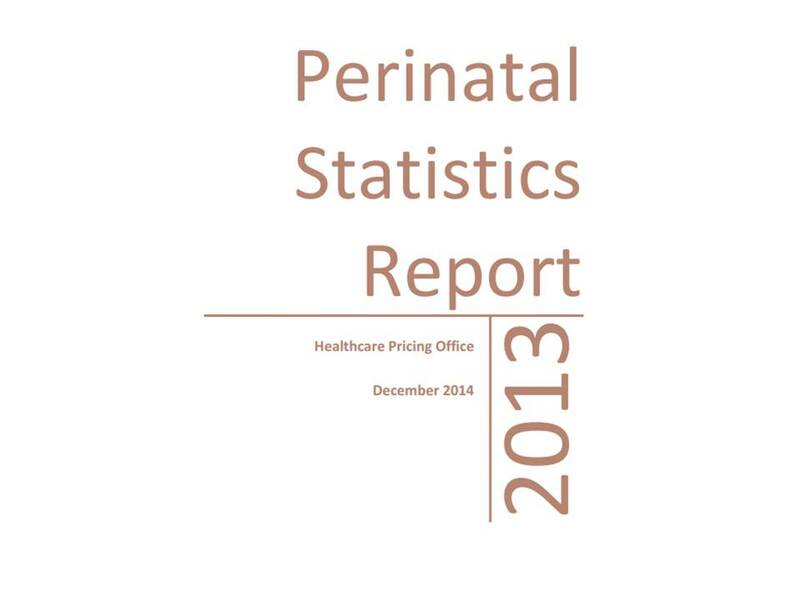 Why are the VBAC rates in Irish Maternity units so low? Part of the reason is our heavily medicalised approach to birth, but also partly because of the fear that health care professionals have of uterine rupture. However, the quoted rates of uterine rupture are often erroneous. It is often routinely quoted as 1 in 200 (0.5%). However, the research indicates that it is nowhere near that high in large maternity hospitals where women are properly screened. Neither of course, is it anywhere near that high at home. Furthermore, if a uterine rupture should occur, the National Obstetric Guidelines Suggest that the the chances of a baby dying as a result are very low at 0.001%. It is not surprising that with the stresses and limitations placed on successful VBAC in hospital so many women are keen to have a VBAC at home; a HBAC. 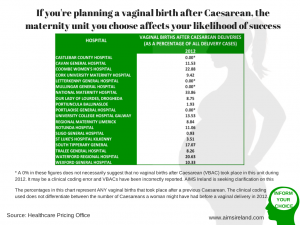 Many women who have previously birthed at home, but who may have been required to have a cesarean due to an isolated issue with a previous pregnancy e.g. transverse breech would also like to have a HBAC. We already know that opting for a home birth for any woman will reduce her chances of a cesarean, so opting for a homebirth as a HBAC should be no different. It might in fact be the best treatment a woman with a previous cesarean needs in order to avoid a repeat unwanted cesarean. Parthenon Publishing, 1997.” looked at the safety of home births and part of the study included looking at the outcomes of a small number of HBAC mothers (53). The study found that 72% of them gave birth at home without incident and 28% transferred into hospital care (antenatally or during labour) where some of them went on to have a VBAC in hospital. The primary risks associated with uterine rupture are unlikely to occur at home, for example there will be no oxytocic drugs used, there will be no induction of labour, there will be no CTG, and there will be no labouring by the clock. Equally as important, the mother will not be left on her own, but will be closely observed throughout her labour by a midwife who knows her and her baby, and who has given her and her baby full continuity of care, and as in a hospital setting she will have been screened as suitable for a HBAC. However, in the unlikely event that a mother having a VBAC should have a uterine rupture; hospital would definitely be the safer place to have one, due to potential issues with transfer times from a community setting. There is also no getting around the fact that a woman with a previous cesarean is of a higher risk than a woman without one. Mary Cronk, MBE, independent midwife and breech presentation expert once commented at a HBA conference that a breech presentation was a “normal” presentation, but a woman with a previous cesarean was not. 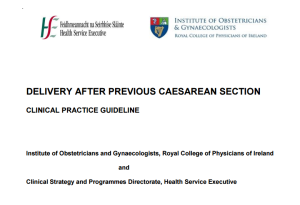 A previous cesarean is a risk factor that will follow the woman antenatally in all of her labours, so does this make birthing at home less safe than hospital for women with a previous cesarean? That we don’t know. We do however have data from Ina May’s birth centre The Farm, where she has carried out 2100 births with no uterine rupture and a section rate of 4%. And more importantly what we do know is that women should have the choice to birth where they feel most safe and most supported, and what we do know is that women should be entitled to an individual assessment. Also recent research reported in the ICAN website (March 2014) suggests that the success rate for HBAC is higher than might previously have been thought. The other two main risks of HBAC are the family’s distance from a hospital, and the abilities of their care provider to support normal birth, to detect signs of problems and to address them in a timely, competent way. So, it is wise to carefully select HBAC assistance; most of the information you need is the same information about midwives that all families need with respect to a midwife’s training, knowledge, and usual routines. 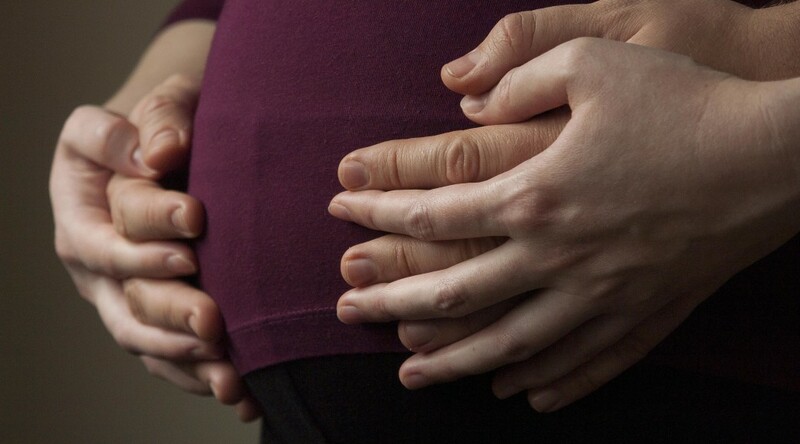 You should also ask about each available midwife’s knowledge and experience with HBAC. 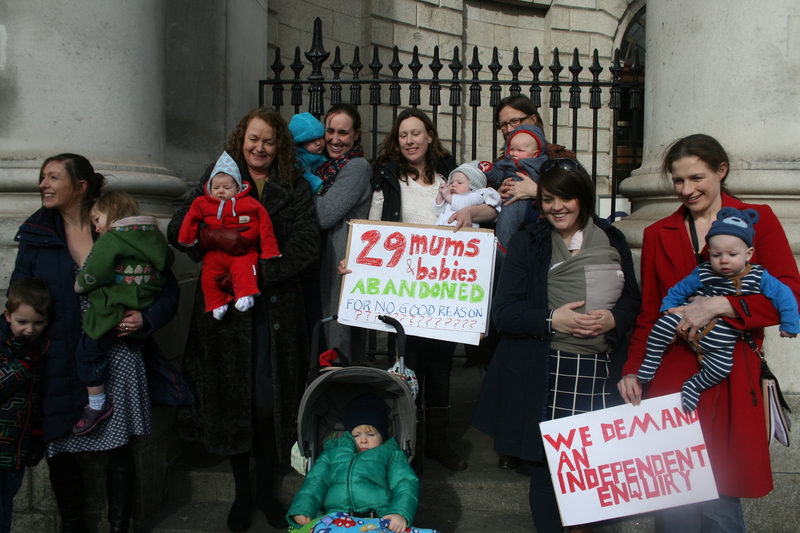 For a few months in the late summer last year (2014) a private midwifery company, UK Birth Centres/Neighbourhood Midwives had clinical indemnity to offer HBAC as an option to women in a few locations in Ireland, and then out of the blue this indemnity was unexpectedly withdrawn. A couple of mothers managed to have a HBAC with the company, but many HBAC clients hoping for care in the community were devastated at the thought of having to go into hospital care and face into our medicalised maternity services with their low hospital VBAC rates. However, today there is hope for HBAC women again as the clinical indemnity enabling UK Birth Centres/Neighbourhood Midwives to provide an individual assessment process for a HBAC service to women with a previous cesarean section is in place again. At present the company are only offering individual assessment for HBAC to women with one previous cesarean. Women hoping for a HBACx2 are currently not eligible for the service, however, hopefully this will change with time, and women looking for HBACx2 will also be able to avail for the individual assessment process. 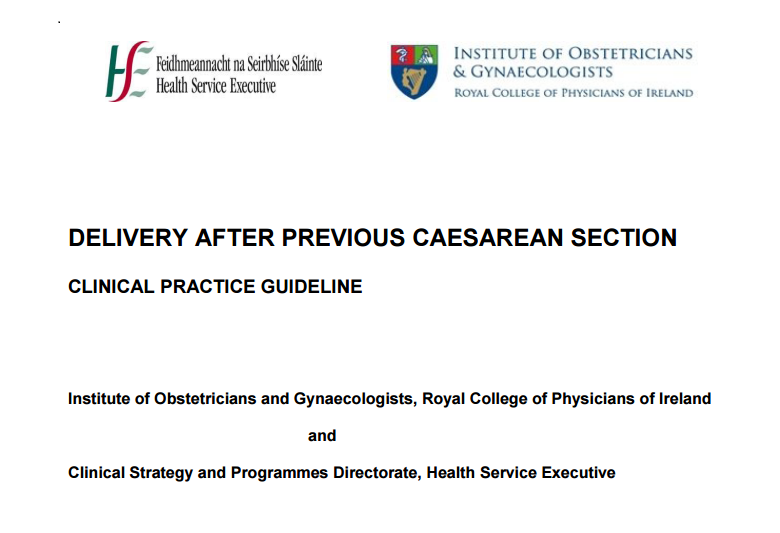 Our national guidelines on VBAC(2) state that it should be supported when the head is engaged, the cervix is favourable, when there is a history of prior vaginal birth and when the onset of labour is spontaneous. So all women hoping for a HBAC(2) should be aware of these during their negotiations in a hospital settings. 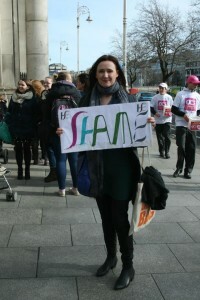 Women planning a VBAC in hospital settings, find that their birth choices are routinely held to ransom by the HSE’s National Consent Policy which cites the 8th Amendment to the Irish Constitution, (and therefore the safety of the unborn as defined by obstetricians and other HCPs rather than by the mother herself). 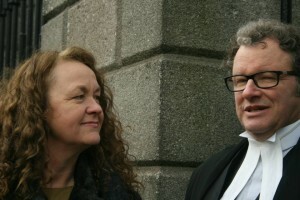 Sometimes women are even threatened with high court actions. These women, will now be able to exercise autonomy in their birth choices and will hopefully have the option of a HBAC with UKBC/NM. Obviously, this is only a choice for those who can afford it as it is a private service and so many women without insurance or women that are medical card holders may be priced out of the market. Hopefully by demonstrating safe outcomes, this private service might encourage the HSE;s public homebirth services to look more favourably at restoring a public HBAC service. Glanbia announced that their new €235 million nutritional ingredients plant in Belview, Co Kilkenny will be opened by Enda Kenny today. This is the largest dairy investment in the history of the State. The purpose of the plant is to focus on exports. Ireland currently supplies 10% of the global infant milk formula. Yes our tiny little country manages to feed 10% of the children of the world with artificial milk. Targeted marketing has been focused on mainland China in the last year resulting in the volume of these exports to mainland China doubling. Glanbia anticipates huge growth in the area. I am sure they do, given the support they are getting from the agriculture lobby in the Dail. Understaffed postnatal units do their best to follow baby friendly guidelines and to give mothers information on the normality of breastfeeding and the important role it plays in early nutrition, early development, bonding and immunology not to mention life long immunity it naturally offers to certain diseases. The national breastfeeding coordinator, the fabulous Siobhan Hourigan, who does a fantastic job in promoting the normality and health benefits of breastfeeding has a minimalistic budget. 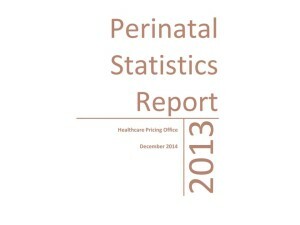 It is estimated that the total spend on promoting breastfeeding by the government is less than €100,000, whilst the annual cost invested by the HSE and Department of Health in treating acute infections in infants nationally stands at around €12m to €15m each year; conditions which can be limited by breastfeeding . Unpaid and voluntary groups such as la Leche League, Friends of Breastfeeding and Cuidiu do their utmost to encourage breastfeeding in the community and to support mothers in their local areas with a local network of support and information. Yes, midwives, mothers, babies, volunteers, health promotion officers and researchers all work incredibly hard to support the health of our future nation by encouraging the normal process of breastfeeding, but how can they ever be successful and have access to much needed funding when agricultural lobby groups hold such sway? 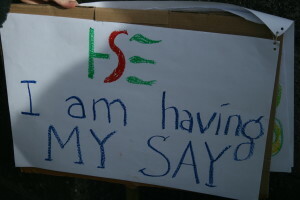 There are obvious conflicting agendas in Leinster House; agriculture and exports vs health. and at the moment the favour appears to rest with agriculture at the expense of everything else. 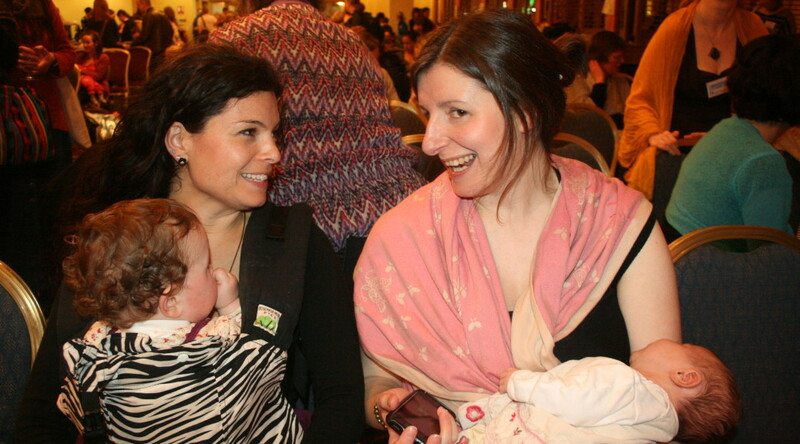 Tomorrow marks the start of the annual La Leche League Conference, which would normally offer an annual opportunity to promote breastfeeding in Ireland in the media. I doubt that Enda Kenny will be opening the conference, and I wonder at the timing of the grand opening of the Glanbia plant. On the day of discharge from the care of the SECM, 96% of mothers who birthed at home were breastfeeding exclusively. These mothers were twice as likely to be breastfeeding exclusively as on day of discharge compared to all women who gave birth (96% versus 47%). (NPEC, 2012). Home birth midwives support breastfeeding 100% and many are trained lactation consultants. 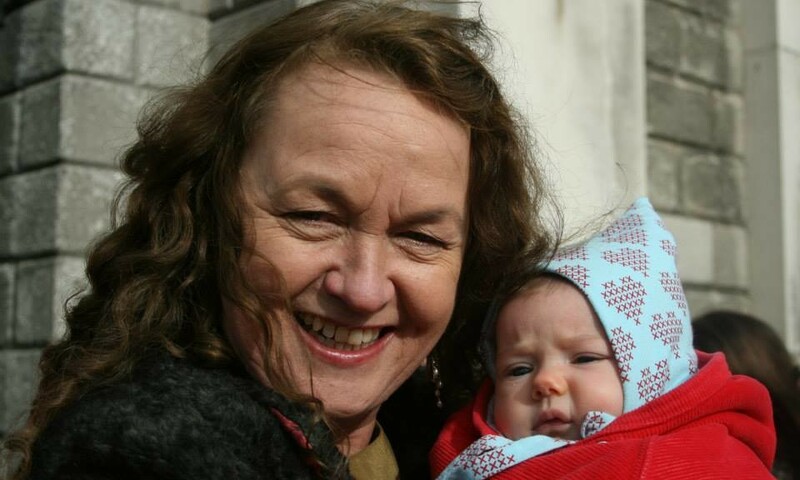 Independent home birth midwife Philomena Canning was awarded Midwife of the Year in 2012 by the Maternity and Infant Awards; an award she refused to accept on ethical grounds as the awards were sponsored by SMA infant nutrition. 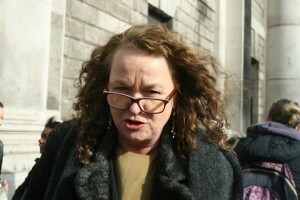 Philomena Canning’s clinical indemnity is re instated. I am delighted. But now I want my questions answered. Why was her indemnity removed in the first place? 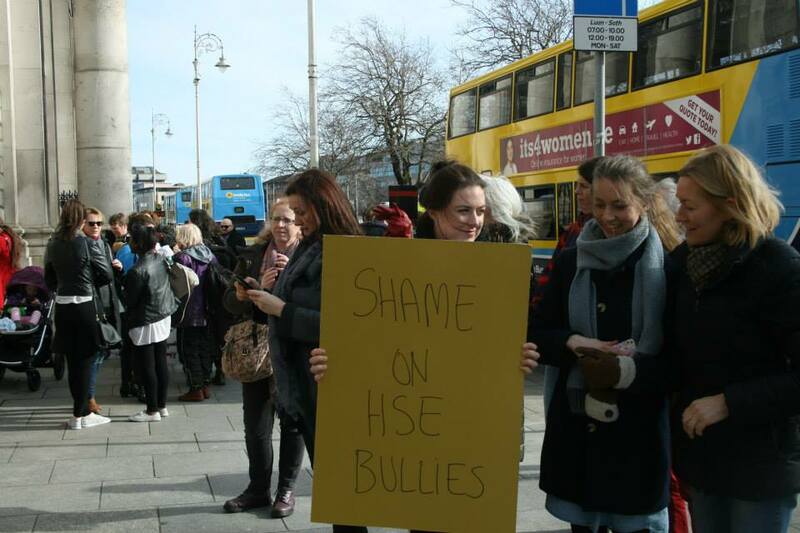 Why were certain factions within the HSE effectively enabled to extend what appears to be their personal opinions of Ms Canning and her practice into a public destruction of her livelihood and her good name? Why did the Minister of Health insist that there had been “serious concerns” in PQs to Clare Daly TD, when the evidence now shows that there was none? I noted at the time that he did not use the term “alleged specific and serious concerns”, but opted for the more convincing “specific and serious concerns” He is of course protected from defamation proceedings by Dail privilege, but surely this privilege brings with it an extra responsibility not to reiterate potentially defamatory statements that might be made by others? The only way for Philomena to fully regain her exemplary reputation back is for Minister Varadkar to issue a public apology. 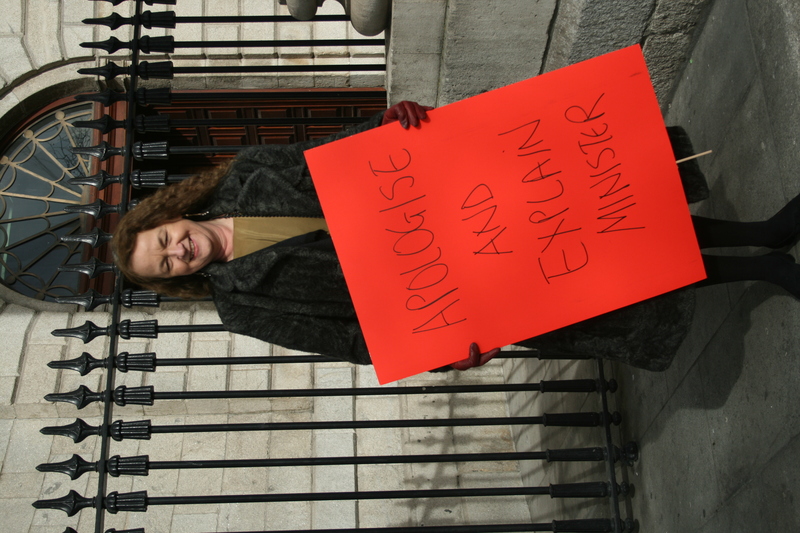 I would like to know when the Minister plans to issue such an apology? 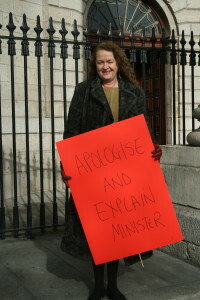 The HSE removed Philomena from practice without providing immediate substitute care for the women on her books. She was phoned on a Friday evening and no substitute care was available all weekend. Why was the HSE allowed to leave these 29 women without care? This was surely not best practice and might have endangered the lives of both mothers and babies. 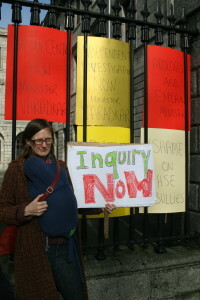 Two of the women were at term and they were left with no home birth care provider to turn to if they went into labour. 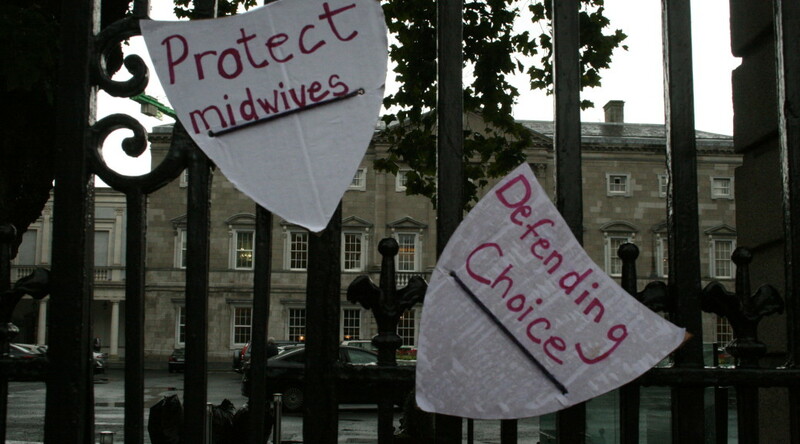 As time went on, the HSE found substitute home birth care for a few women, but others were effectively abandoned or forced to engage private services from their own savings. 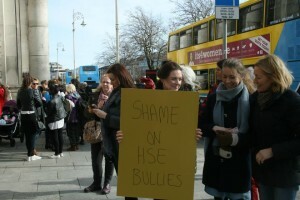 Why was the burden of finding care not fully shouldered by the HSE? Why were women abandoned? 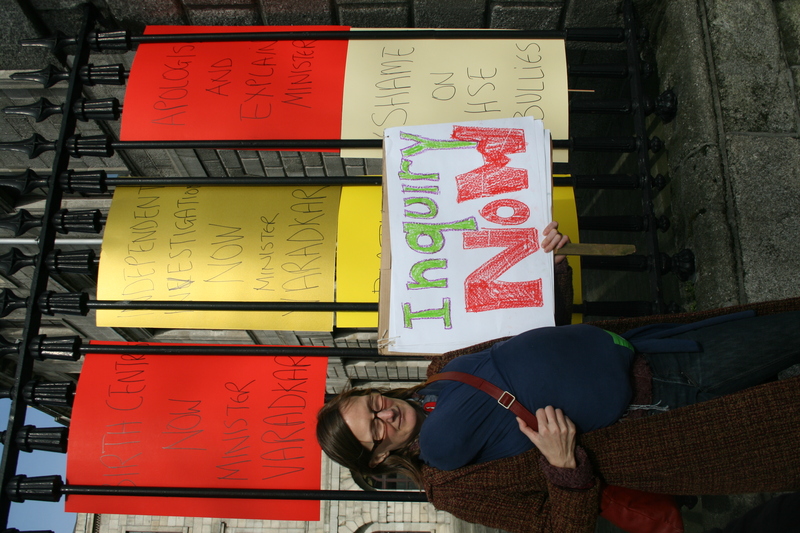 Why were some of the 29 women never contacted by the HSE at all? 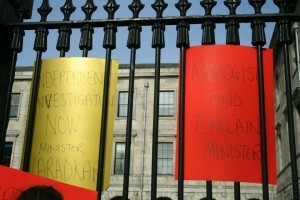 Why did Minister Varadkar not intervene? 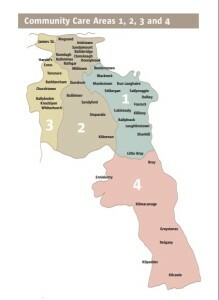 The removal of Philomena from her home birth practice left vast swaths of the Greater Dublin area without a National Home Birth Service, as only Philomena covered these areas. 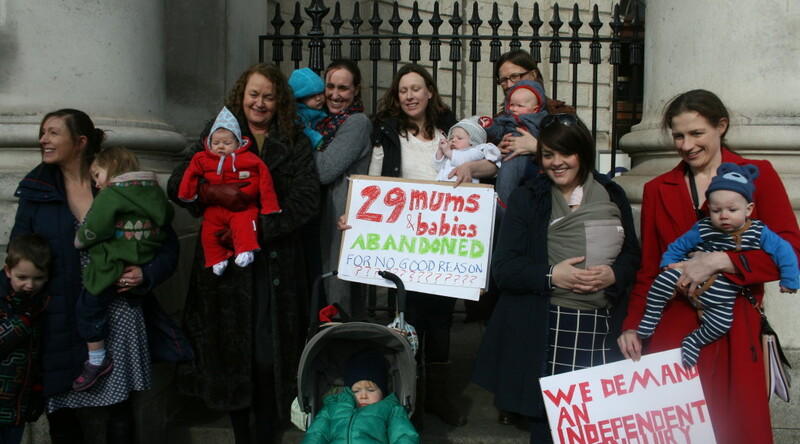 For medical card holders living outside the NMH’s catchment area this left them with no home birth option at all. Why, if the HSE are committed to a National Home Birth Service was a substitute midwife not put in place before the suspension to ensure continuity of service? 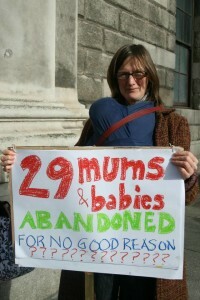 Furthermore, why were the majority of the 29 women never found any substitute care? Why did many of them, whilst heavily pregnant have to try and seek basic antenatal care for themselves and their unborn babies? 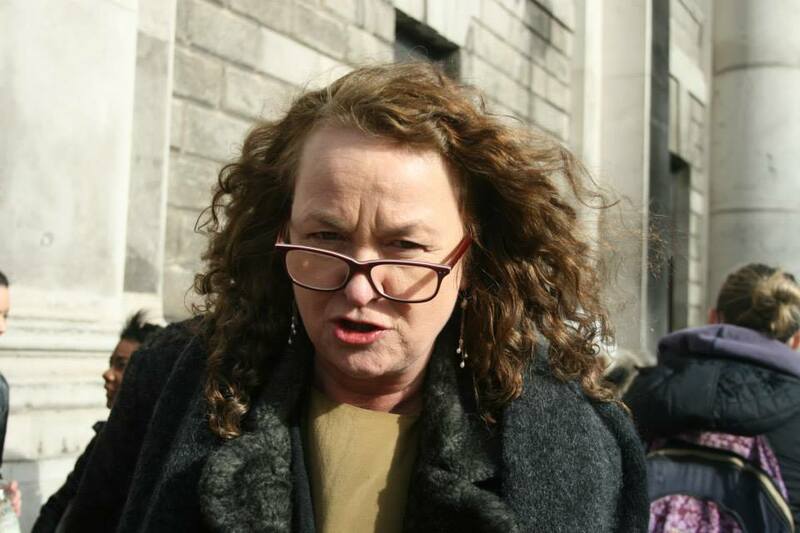 The manner in which the suspension of Philomena was carried out left other home birth midwives in the Greater Dublin area unwilling to take on clients who lived in the area presided over by the Designated Midwifery Officer who had been involved in Philomena’s suspension. 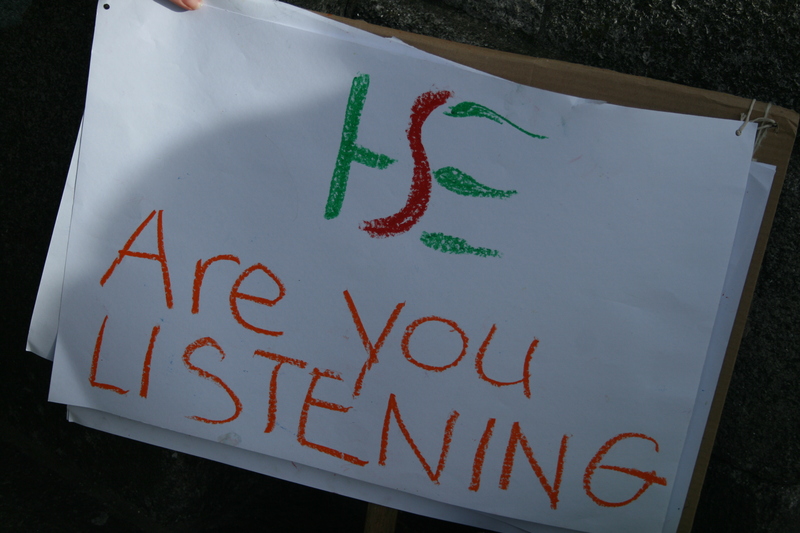 The National Home Birth Service in South County Dublin, Kildare, Wexford and Wicklow came under serious threat and still is under threat How could the HSE allow the National Home Birth Service be de constructed in this way? And last but not least, why did all this come to light just as Philomena was about to open her to free standing birth centres? I am going to hand out some counting blocks now and you can start putting two and two together. Unlike pretty much every other country in Europe, or OECD countries, there are no free standing birth centres in Ireland. 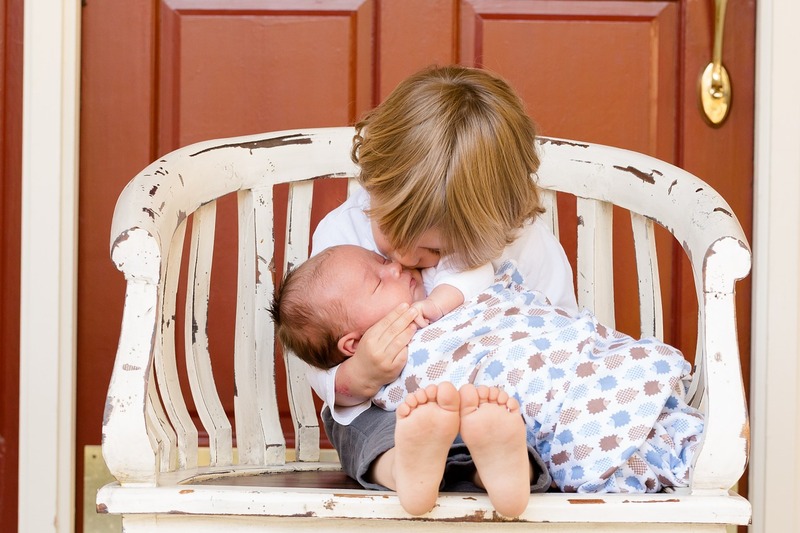 The recent Birthplace Study in the UK showed that free standing birth centres were a safer place for mother and baby than a hospital setting as mothers were subjected to fewer interventions there. 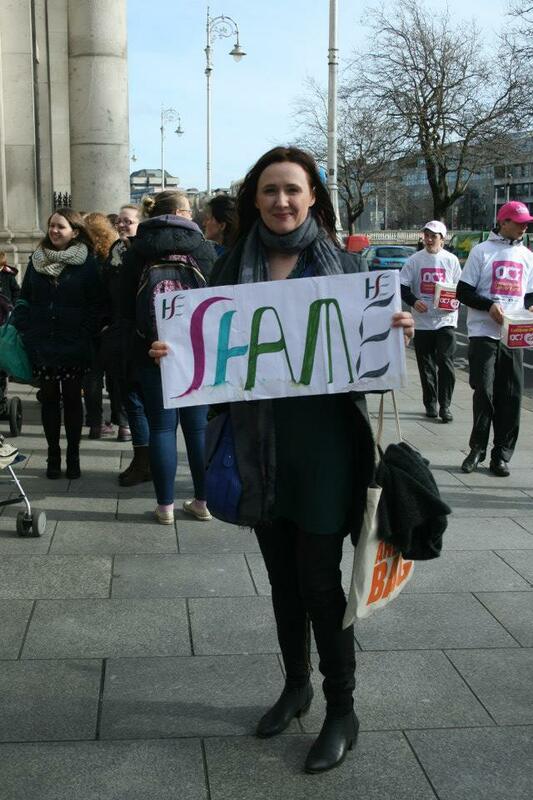 Many women in Ireland do not want to avail of obstetric care and neither do they feel comfortable with home birth. They are looking for something in the middle; they are looking for free standing birth centres. The initial results of AIMSI s WMTY 2014 survey of nearly 3,000 women and their maternity care experiences indicate that this is the missing link in our maternity services. Why is there such opposition to free standing birth centres in Ireland? Who are the vested interests that are most vocal in that opposition, and what sway do they hold over the HSE? The HSE are never going to answer any of these questions, only an independent inquiry can do that, and if we are ever to find out the answers to these questions that is what is required. The window for Home Birth after Caesarean in Ireland has closed again for now. For a few weeks, UK Birth Centres/Neighbourhood Midwives had clinical indemnity to offer this option to women in a few locations in the country. However, the clinical indemnity enabling them to do so has been withdrawn preventing them from offering this option in the UK, NI and the Republic. 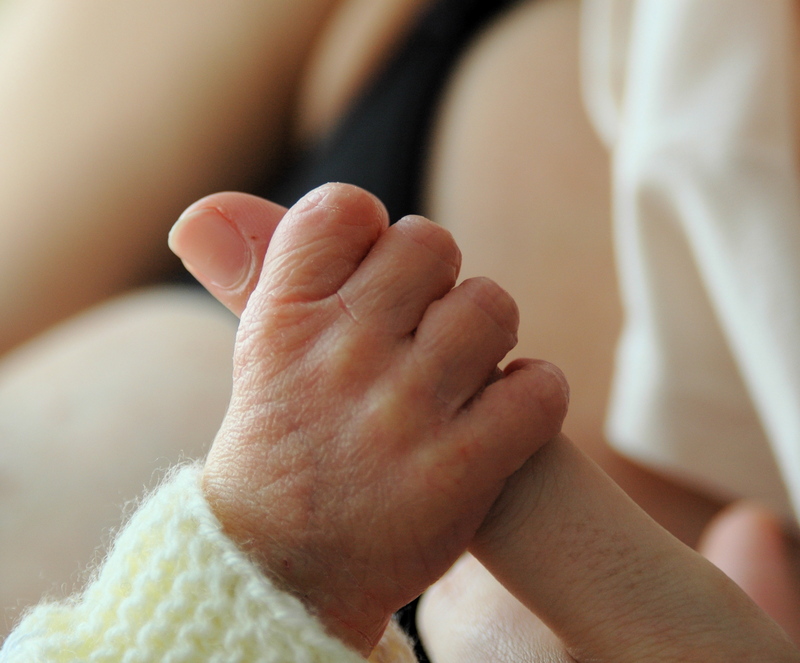 Two women were able to have a home birth after a caesarean with this model of care during the last month.Women with previous caesarean currently on the company’s books and availing of continuity of care throughout their pregnancy will be assessed on an individual basis to continue care. Women who were planning only 5- 6 weeks care with the company at the end of their pregnancy and are not yet receiving care will not be able to continue with their planed model of care, but will have to attend hospital services. The company’s indemnity for other home birth clients remains in place and they state that they plan to continue to offer care to women who fall outside the HSE s rigid MOU criteria.